The recent announcement by the President of the University of The Bahamas (UB) that tuition fees will be increasing beginning in the Fall of 2019 took many by surprise. Additionally, the revelations that the costs for attending UB were up to approximately $30k for a UB student were also startling. Many were alarmed by the President’s announcement considering the fact that the Prime Minister had on many occasions promised that tuition at UB would be free for Bahamian students – a campaign promise which the current administration has failed to deliver on. It is imperative that our societal leaders craft policies and programs that will create a path that is clear to the middle class for Bahamians from all walks of life to ensure our nation's economic prosperity. This entails opening the doors of higher education to more Bahamians in the best way possible by ensuring access and affordability. Today, three-quarters of the fastest-growing occupations require education and training beyond a high school diploma. Yet almost half the students who begin tertiary level education in this country do not finish within four to six years. The Democratic National Alliance (DNA) has noted the recent report that the University of The Bahamas will implement a tuition hike for the 2019 fall semester for new entrants. While we empathize with UB’s plight and the financial challenges that the institution faces, we believe that this proposed 15% increase will further put tertiary level education out of the reach for the very families that need it most and further disenfranchise Bahamian youth. Higher education should no longer be a luxury for the privileged few but a necessity if our young people are to be positioned for competing in the global economy. Even more perplexing are the mixed messages and lack of coordination within the government. The Prime Minister and Minister of Education seem to be on different pages on the timing and details of the free tuition initiative promised by the Free National Movement (FNM). According to media reports, the Minister threw the PM under the proverbial bus when questioned about the disparity between the PM’s announcement and UB’s planned fee increase. A visionary Bahamian government should be committed to restoring and enhancing our world leadership in college completion and ensuring that every student who choose to take advantage has access to an affordable and high-quality postsecondary education. Students everywhere, including many older students juggling work and family responsibilities recognize that higher education is essential to increased opportunities and that fact has fueled a substantial increase in college enrollment rates in recent years. The FNM like its predecessor has failed to prioritize the education of our youth. 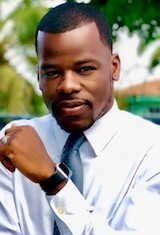 Specifically, the current administration is not delivering on its promise that guaranteed, “free tuition to every qualifying Bahamian.” Prospective college students are often priced out of the education they need to set themselves up for future success while recent college graduates continue to feel the weight of their student loan payments holding them back from fulfilling their full potential. We submit that this is no time to raise any tuition fees for students if we are aiming to create a sustainable economy with equal opportunity for all Bahamians. The DNA calls on the government to live up to its promises and make college affordable for every Bahamian without further delay. Now more than ever, tertiary level education remains the greatest driver of socioeconomic mobility in The Bahamas, but if we don't do more to keep it within reach for low and middle class families and those striving to get into the middle class, it could have the opposite effects; serving as a barrier, instead of as a ticket to a brighter future for all. We encourage this Government to reverse a quarter-century-long trend of disinvestment in higher education, promote reforms to support student success and embrace their role in overseeing institutions. For far too long, the government has focused almost exclusively on inputs enrolling students in college to say that there is an increased enrollment, but they focus little on outcomes which is graduating from college with high quality degrees. It is time to reset the incentives that underpin the system to focus on meaningful outcomes. We cannot continue to fund an unsustainable status quo.